Kisses, even the ones that don't happen, can be the trace of what's constant when life changes. In childhood, when what seems to define everything is competition--for style, for knowing, for experience--a kiss is the first first. When a girl's father moves out and chooses a new family, a kiss on the head from him may be the trace of constancy that she wants most. Later, such things take on a different flavor. Sometimes the kiss she wants doesn't come. Sometimes the one she wouldn't have is forced upon her. From time to time, the one she has kissed before is lost to her. Some kisses are final. When things are most hectic a kiss can be a celebration. And when circumstances grow threatening--to a woman, her family, her sister--a kiss becomes the reassertion of the most vital connections. Does the thread of transformative kisses spark any memories of your own? Sternbach’s structure is unique. Does it read more true than the linear recounting we expect? How so? Why do you think the publisher chose the cover image? How does Sternbach "take ownership" of her own story? What does this mean to you? This book is about connection and about not connecting at all. Discuss. Ms. Sternbach has a tattoo on her arm. It reads: "Hope is the thing." Could that have been an epigram for this book? 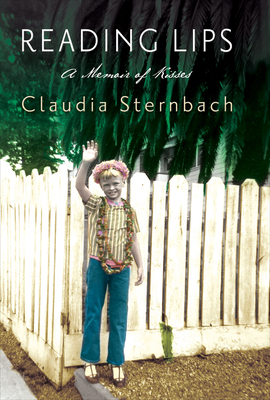 Does Sternbach seem to reflect an era here and, if so, how does she manage to connect with younger readers? Trust is a theme in this book. Trusting others. Trusting oneself. Discuss. Sternbach is a survivor in more ways than one. Writing this memoir becomes another way to survive. And being remembered matters. Discuss. The publisher says in the copy that Sternbach is "trying to get life right." What does this mean? Are you? Is "getting life right" new to our culture or just more public now?